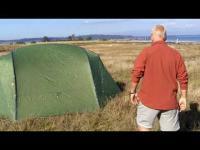 Venus III - the lightweight de luxe shelter. 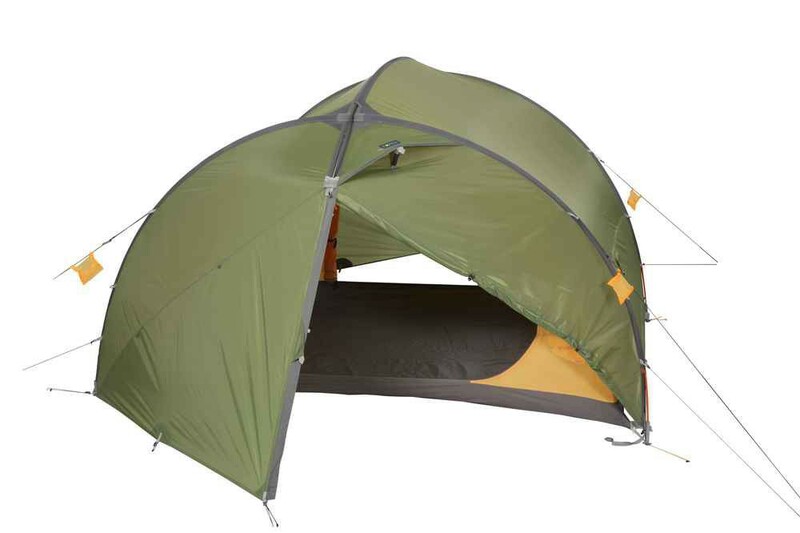 Exped‘s double door & vestibule standard in a 3 person, super size. Same great features of Venus II with added space, comfort, and one oversized vestibule. An incredibly simple tent to pitch: insert 3 poles into color coded, continuous sleeves; seat into new adjustable, tensioning pockets; and stake the corners and guy lines. Done in just about 2.5 minutes! Storm proof: Numerous pre-mounted Dyneema guylines are attached and packed in “Cord Stuffsacks“. Guyline loops attached to the pole sleeve keep Venus III taut and secure, even in the roughest weather. Easy handling all the time: Zippers have color coded, reflective, and glow-in-the-dark pulls and are easily operated with one hand. Adjustable peg loops of Dyneema cord for easy placement of tent pegs. They put a 8“ / 20 cm radius at your disposal in which to find the ideal spot sink the peg. Functional layout: Two large vestibules and entrances offer storage spaces that are accessed easily, even from within a sleeping bag. Doors are large enough to allow two adults to sit side by side.